Winning the lottery isn't easy – if it was we'd all be millionaires! But knowing the odds lets you bet smarter. So what, exactly, is the precise probability of winning the lottery? To find out let's look at the UK Lotto versus our top five most popular lotteries to bet on and see how each lottery stacks up. 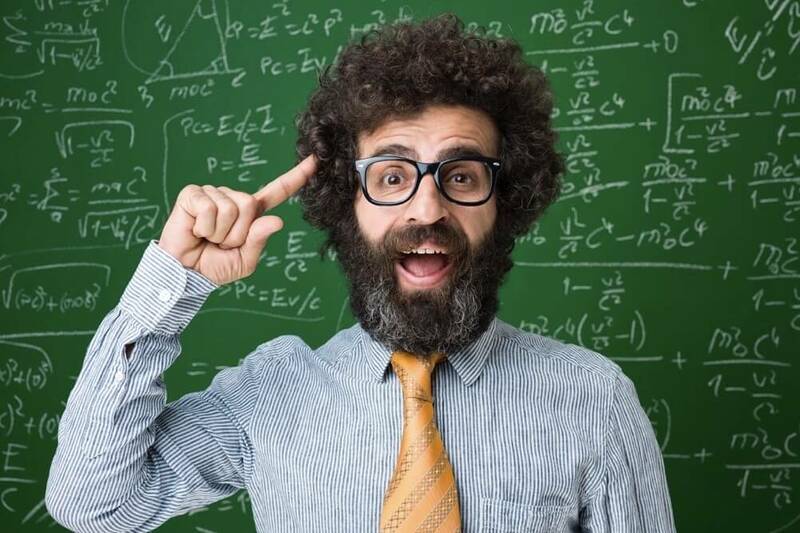 Presenting our Complete Guide to lottery betting odds and probabilities! Meghan Trainor is all about that bass. We're all about those odds. Knowing the probability of a given event is important because life is all about the probabilities. For example, since that last paragraph was all about the repetition there's a strong probability that song will end up stuck in your head now, whether you want it to be or not. If not congratulations, you've beaten the odds. Beating the odds for a lottery, however, well that's a bit tougher, but by knowing those odds at least you know what you're up against. So to help you we've prepared detailed odds on all our top lotteries, including an at-a-glace overview on jackpots plus all the winning odds for the UK Lotto versus our top five most popular lotteries here at Lottoland. The first question anyone wants to know is – how much can I win? Often times that's the only question lottery fans concern themselves with. But if you're reading this then you want to scratch beneath the surface to find out not just how much the jackpot is, but also your odds of hitting it are. The table below shows those odds plus your odds of winning any prize on some of our most popular lotteries. Don't ignore those prizes, as some of these 'secondary' prizes can wind up being pretty big. As you may know, the Irish Lotto went through a format change in 2015, resulting in higher jackpots but also higher jackpot odds. That being said, the Irish Lotto's new jackpot odds are still extremely favourable when compared with other European lotteries – take the relatively high jackpots into account and it's a great all-rounder lottery. The UK Lotto is not available at Lottoland, but since it's the lottery most people are familiar with it serves as a useful yardstick for comparison with other lotteries. When the format of the UK Lotto changed in 2015, its jackpot odds were raised considerably from around 13 million to over 45 million. The silver lining, however, was the potential for record-high jackpots, something we saw in January 2016 when the record jackpot (to date) of £66.1 million was won. EuroMillions is still Europe's largest lottery, but it's has some stiff competition. EuroJackpot is hugely popular in Germany and Scandinavia and is starting to gain in popularity here now too as it offers sizable jackpots at better odds than EuroMillions. 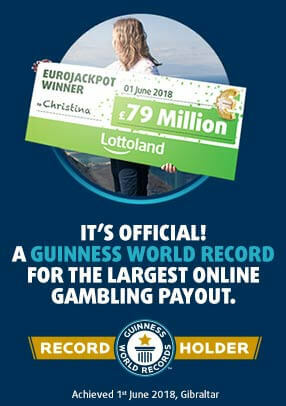 EuroJackpot is capped at a top prize of €90 million, a sum that has been won three times so far. EuroMillions' popularity is as high as ever, thanks, in no small part, to its consistently high jackpots. Of course, with high jackpots comes high jackpot odds. But just how high are the odds of EuroMillions? This jackpot is capped at a maximum of €190 million and tends to generate a lot of excitement when it starts to rise above the €100 million mark. As with both the Irish and UK Lottos, America's PowerBall also went through a major format change in 2015. The changes increased the jackpot odds considerably, but also allowed for a bigger prize pool and more rollovers. The result was a record-breaking jackpot in January, the biggest lottery jackpot of all time, worth a staggering $1.586 billion, or approximately £1.03 billion. Coke Vs. Pepsi, Mac Vs. PC, Marvel Vs. DC – there've been lots of brand rivalries over the years. In the lottery world, however, the biggest rivalry is between the two American super-lotteries. PowerBall's format change was made precisely to unseat MegaMillions who had held the biggest jackpot title from March 2012 until January 2016. Now MegaMillions are striking back with changes to their format which will see their jackpots rise high enough to challenge the records of their US rivals. Lotteries are the ultimate game of chance - the odds stacked against you are high, but the rewards are the sweetest of all. Of course we publish all the odds and probabilities in the individual FAQs of all of our lotteries. If you want to improve your chances of winning, there are a couple of factors you should take into account. We have shown you the odds of winning some of our most popular lotteries, and these should be taken into account when you consider which one to go for, as well as the jackpot, of course. The old saying 'if you're not in, you can't win' is certainly true, as your odds of getting a win are improved by entering more draws. Syndicates are a great way to boost your chances of a win too, and even if you don't have your own syndicate at home or work you can simply join a syndicate at Lottoland to tilt the odds more in your favour. I Want To Win The Lottery - But How?